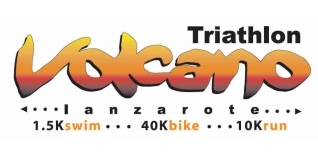 The 27th Volcano Triathlon took place today at Club La Santa, Lanzarote in the Canary Islands and was a successful one for the British ladies in particular, securing three of the top four positions. Lots of British entrants all through the field, the entry boosted by all of the triathletes on camps at the popular training venue. 2010 runner-up Rasmus Petraeus (DEN) went one better this year while Rachel Joyce was back into racing action after her second place at Ironman South Africa last month to take the win over Challenge Fuerteventura winner Eva Ledesma (ESP), with Tamsin Lewis third and Emma-Ruth Smith fourth. Ironman Nick Saunders secured some nice scalps while finishing third among the men.